As per this study, the Global Horticulture LED Lighting Market was valued USD 868 MN (by revenue) in 2018 and is anticipated to reach USD 3,912.7 MN by 2025 with a CAGR of 24%. Horticulture LED lighting technology is gaining traction in the market owing to its numerous advantage such as it is low power consumption compared to incumbent technologies, which allows for a lower energy cost. Also, these LED-based systems produce less heat, which offers inter-lighting, this light can be placed near a lower layer of plants that are generally shaded from light by the upper layer, and enhance their production consistency, or yield. Growing urban farming, lack of arable land coupled with the rising investment in horticulture is expected to drive the market growth. Expanding the horticulture sector coupled with the improvement in agricultural practice is again expected to propel the market growth. Growth in city farming along with the advancement in technology in terms of agricultural equipment is further adding impetus growth to the market. This detailed market study is centered on the data obtained from multiple sources and is analyzed using numerous tools including porter’s five forces analysis, market attractiveness analysis and value chain analysis. These tools are employed to gain insights of the potential value of the market facilitating the business strategists with the latest growth opportunities. Additionally, these tools also provide a detailed analysis of each application/product segment in the global market of horticulture LED lighting. The broad horticulture LED lighting market has been sub-grouped into product and application. The report studies these subsets with respect to the geographical segmentation. The strategists can gain a detailed insight and devise appropriate strategies to target specific market. This detail will lead to a focused approach leading to identification of better opportunities. 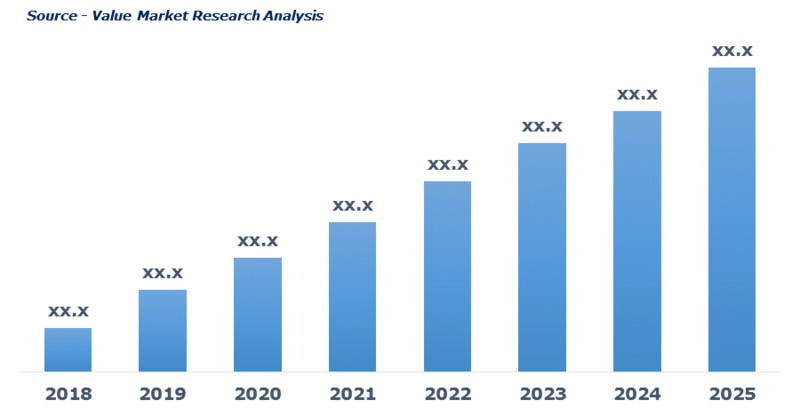 Furthermore, the report comprises of the geographical segmentation which mainly focuses on current and forecasts demand for horticulture LED lighting in North America, Europe, Asia Pacific, Latin America, and Middle East & Africa. The report further focuses on demand for individual application segments in all the regions. The report also covers detailed competitive landscape including company profiles of key players operating in the global market. The key players in the horticulture LED lighting market includes Cree, Inc., Everlight Electronics, Gavita, General Electric, Heliospectra AB, Hubbell Incorporated, Lumi Grow, OSRAM, and Phillips. An in-depth view of the competitive outlook includes future capacities, key mergers & acquisitions, financial overview, partnerships, collaborations, new product launches, new product developments and other developments with information in terms of H.Q.